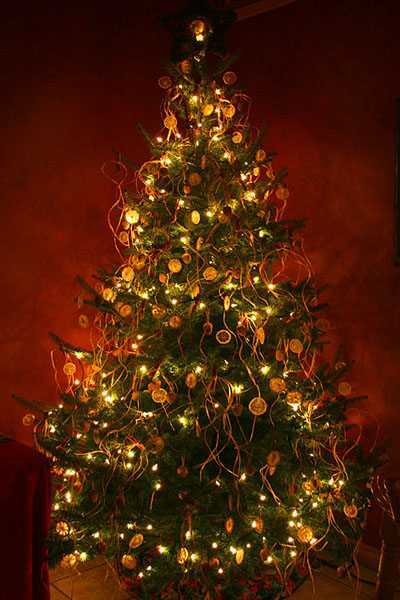 Christmas tree is a beautiful winter holiday symbol that add charm, glow and grace to Christmas home decorating. Here are useful tips for Christmas tree decoration that helps create beautiful and safe winter home holiday decor. Christmas trees with lights can start fires. You can prevent it by following simple rules of Christmas tree decoration. 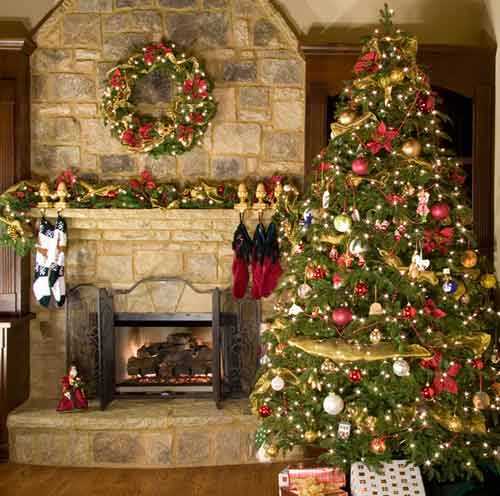 First of all, select a fresh, recently cut, lush and healthy Christmas tree for home decorating. A fresh Christmas tree holds moisture better. Grab a tree branch and run your hand over it. If no more than a few needles fall off Christmas tree is great for bringing it into your home. As soon as you get the Christmas tree home, cut 1/2 inch off the trunk and place your Christmas tree in a bucket of water. It can stay in a bucket on your porch or balcony until you are ready to bring it into your living room and decorate. Christmas decorating is safer with a solid stand for a Christmas tree that can be attractively draped with a Christmas tree skirt and decorated with colorful gift boxes ans winter themed figurines. Make sure the Christmas tree is stable in its stand and will not tip over. Water your live Christmas tree frequently to keep it fresh, lush and beautiful. 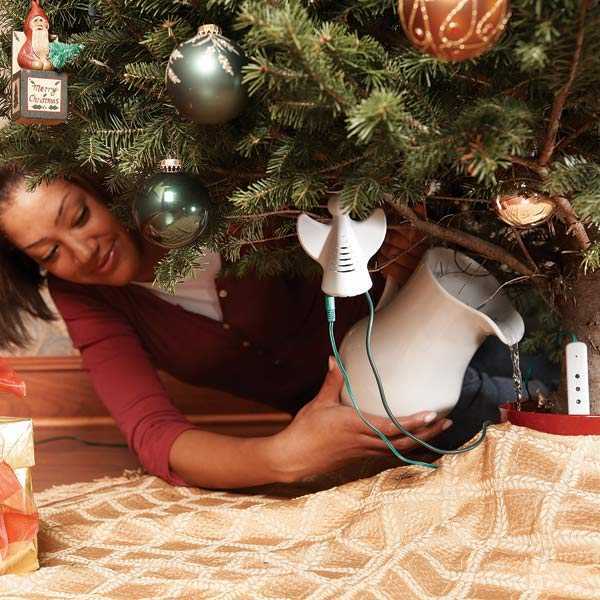 A 6 foot tree needs about 1 gallon (4 liters) of water every other day, especially if it is in a warm room. Christmas decorating with lights that are rated for indoor and do not create heat is safe. Energy saving :ED Christmas lights are perfect for live Christmas tree decoration. Do not overload your electrical outlet with lots of Christmas lights for your living room fireplace, window decorating and Christmas tree decoration. If you want to power dozens of strands of lights and other electric Christmas decorations, plug them into different circuits around the house. Do not use Christmas lights on a metal tree. Unplug Christmas lights before leaving the house or going to bed. 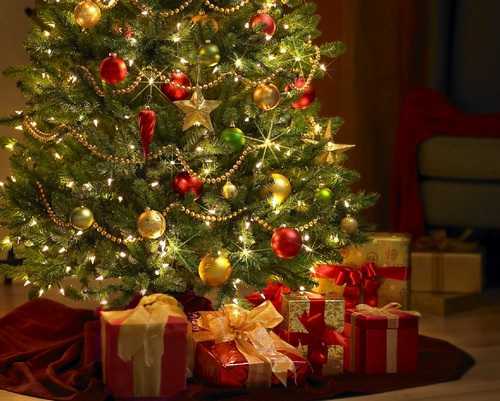 Keep the Christmas tree at least 3 feet from candles and fireplaces. You can use a new Christmas Tree Safety System designed to detect low water in the tree stand and send a warning signal if a fire starts. The system has a low water detector which goes into the tree stand. It sends an audio alert signal and triggers flashing lights on the attached heat sensor angel if the water level gets dangerously low. The safety tips for Christmas tree decoration with lights and the tree safety system ensure you and your family enjoy bright and safe holiday decor. Marry Christmas and happy winter holiday!